Get the right message in front of the right people as often as possible. That’s always been and will no doubt always be the main concept of marketing. There are several proven methods to achieve that goal, but one of the most effective is still using email. While some marketers may believe email marketing has outlived its usefulness, nothing can be farther from truth. In fact, I get a ton of promotional emails everyday. You probably do too. That’s because email marketing is stronger than ever. It’s a formidable addition to your integrated digital B2B marketing strategy that can help maximize your efforts. It’s also an ideal choice for sharing the unique voice of your content marketing campaigns, and for connecting with account-based targets in a very personal way. Compared to the amount of time it takes to prepare and launch other B2B marketing campaigns, emails are one of the least time-intensive. Once you have your core message and creative elements ready to go, it doesn’t take long to incorporate them. Plus, there are any number of tools that can automate the process for you. You simply set the schedule, and then let the technology do the work while you track the results. That way you can spend your limited time focused on other tasks. Unlike other digital tactics where you have no real idea who will actually see your message, emails let you control the list of who you’re trying to reach. Just as you carefully craft your content for a very specific audience, you can also select the members of that audience from your database. You determine who you’ll be connecting with, as well as what they will read or hear (when you incorporate video) based on their demographics, behavior, and preferences. This is especially relevant for account-based marketing. Once your research has selected the right people in a key organization, you can send your highly personalized messages directly to them. 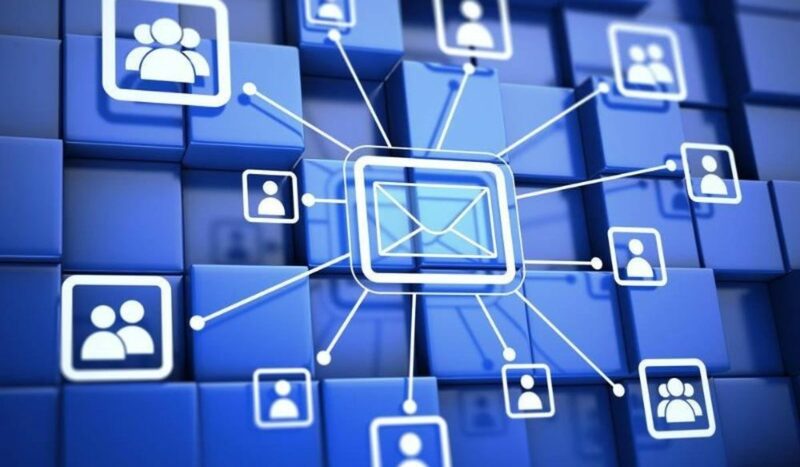 Emails, along with other coordinated B2B marketing strategies, can help you connect with those high-quality prospects on a much deeper level. By concentrating on the right potential customers, you increase the chances of your message appealing to them. When that happens, they may also share your message with others. Except for possibly social media, no other marketing channel offers the ability to instantly share the content with others as effectively as emails. That’s why content marketing is so powerful. People may not share a blatant sales pitch, but they will consider forwarding a useful, relevant message designed to help them solves problems and better their lives. And that is the heart of content marketing. It inspires people to spread your message — and your brand. At a time when ROI and being able to prove the success of your marketing efforts are more critical than ever, email campaigns are at the top of the list when it comes to measuring results. You get a wide range of precise statistics, including open rates, click-throughs, and other key metrics. You know almost immediately who responded, which message and offer appealed to them the most, and where they went after they clicked. You can then use that valuable input to move leads further through the sales/marketing funnel. It’ll also help you adjust and improve future campaign strategies. Most people love earning money (put your hand down, we see you), but few enjoy spending it. This is especially true for company executives. Fortunately, email marketing is one of the most cost-effective means of promoting your company and brand. According to a U.S. survey conducted by the Direct Marketing Association and Demand Metric, email has an average ROI of 122%. That’s four times higher than social media, direct mail, paid search and other marketing tactics. We all know that frequency is a key factor for getting potential customers to remember your message. But frequency usually comes with a hefty price tag. The more you promote, the more it costs. Not so with emails. Unlike display advertising, search marketing, and a wide range of other digital marketing services, you can send emails as often as you need to the same people without spending more, in most cases, even when you use an outside company or service to create and send your emails for you. If you aren’t already, you need to incorporate emails into your content, account-based, and all other marketing initiatives. They’re a direct, powerful path to engaging and converting prospects into actual customers. The only thing more efficient is having someone else create and send emails campaigns for you. That’s why we’re here. Email is one of our many B2B marketing solutions. Our expert creative digital team can design the ideal messages and get them to the people who want your products. So Contact us today.